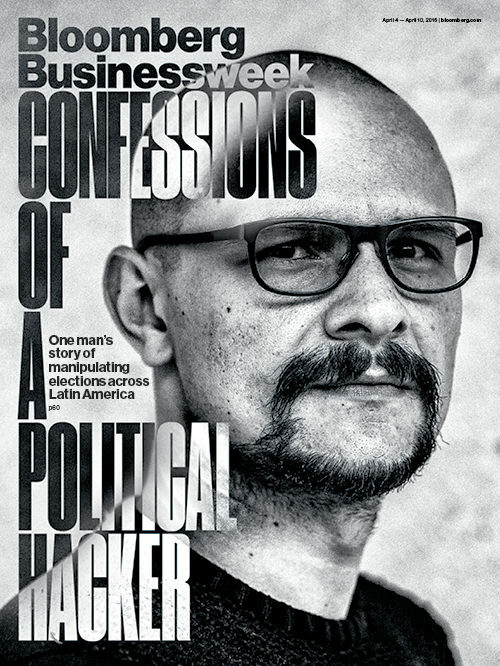 As if we needed more proof that elections are hopelessly vulnerable to manipulation, here are some excerpts from an article in Bloomberg Business Week on how a gifted hacker made use of social media to rig elections in Latin America. The article is well worth reading in full. We can expect much more of this in the future. [in the Mexican election of 2012] Money was no problem. At one point, Sepúlveda spent $50,000 on high-end Russian software that made quick work of tapping Apple, BlackBerry, and Android phones. He also splurged on the very best fake Twitter profiles; they’d been maintained for at least a year, giving them a patina of believability. On election night, he had computers call tens of thousands of voters with prerecorded phone messages at 3 a.m. in the critical swing state of Jalisco. The calls appeared to come from the campaign of popular left-wing gubernatorial candidate Enrique Alfaro Ramírez. That angered voters—that was the point—and Alfaro [Ramirez] lost by a slim margin. So please keep telling me that elections are the solemn expression of the people’s will, that we use them to give our representatives a mandate, and that they permit us to make our politicians accountable. And please sing “alleluia” after each sentence.